Employee Recognition – Go Ahead..Make Their Day! Each year billions of dollars are wasted on employee recognition programs that do not work. In Make Their Day! 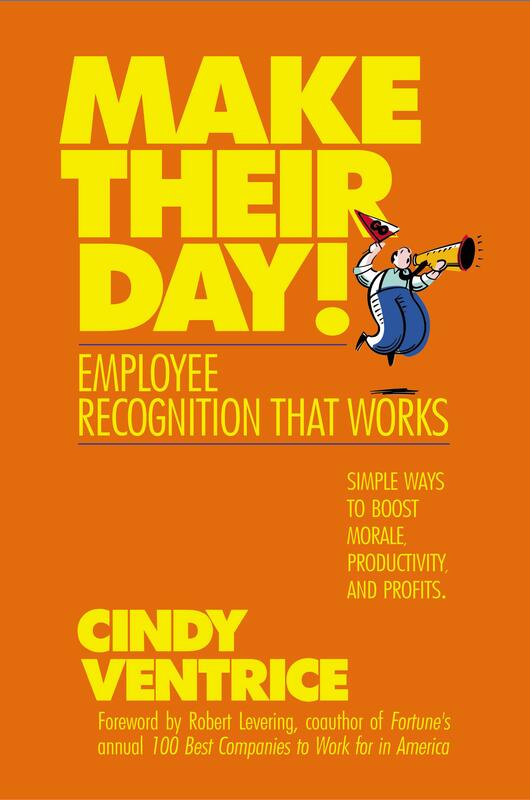 Employee Recognition That Works author Cindy Ventrice explains why and describes what employers and employees each expect from recognition, why most recognition efforts miss the mark, and what readers can do to give morale and productivity a genuine, lasting boost. This best-selling book provides a proven manager-driven approach to recognition. It is full of practical examples from successful companies around the country including: FedEx Freight, Microsoft, Immunex, Wells Fargo, Griffin Health, Xilinx, The Container Store, Graniterock, Athleta, Design Octaves, and Plante & Moran. See the list of featured companies. I see a lot of people liked the first Terry Tate Office Linebacker video. In this next video, company policy dictates that Terry takes a vacation. Charismatic Leadership – Old or New Style? Do you need to be a warm fuzzy manager who is sensitive to his or her employees needs? Do you need collaborative decision making?